At the ICACC 2019, we were able to get a broad perspective on the current state of the art research in ceramics on a high quality, international level. We were happy to meet our friends from the Italy ACerS chapter and young professionals, PhD students and professors from all over the world. 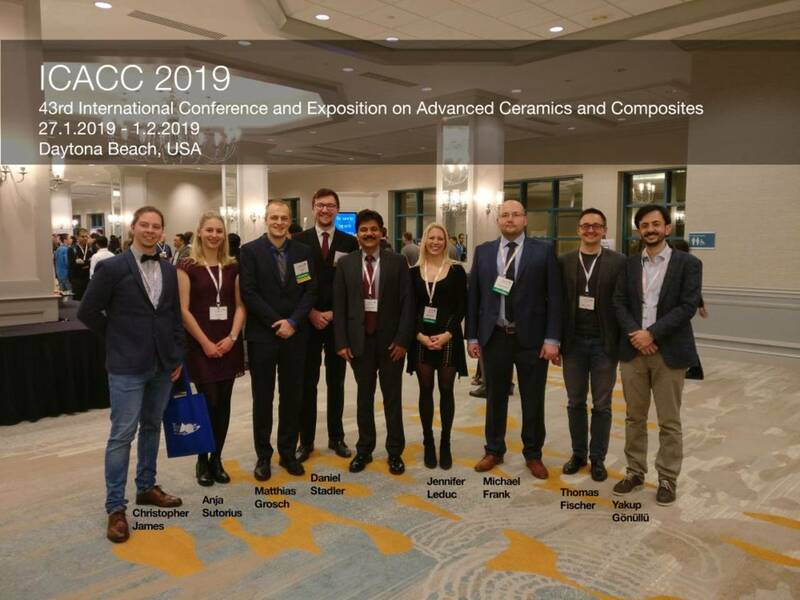 Beside the interesting and well-presented plenary lectures on Monday, we could attend lots of interesting talks, ranging from luminescent and upconversion nanomaterials and molecules through nanomaterials for renewable energy conversion to bioinspired ceramics. All these presentations given by researchers from all over the world broadend our view on the international state‑of‑the‑art in ceramics research and motivated us a lot for our own research. Additionally, we were glad to attend a workshop entitled ‘writing excellent abstracts’, given by journal editors of the American Ceramic Society. In this workshop, we learned a lot about the importance of well-structured abstracts and how to write them. At this point, we want to thank all the organizers for the efforts they made. All in all, we experienced the ICACC 2019 as a successful conference which we plan to attend in the future. See you all in Daytona Beach 2020!